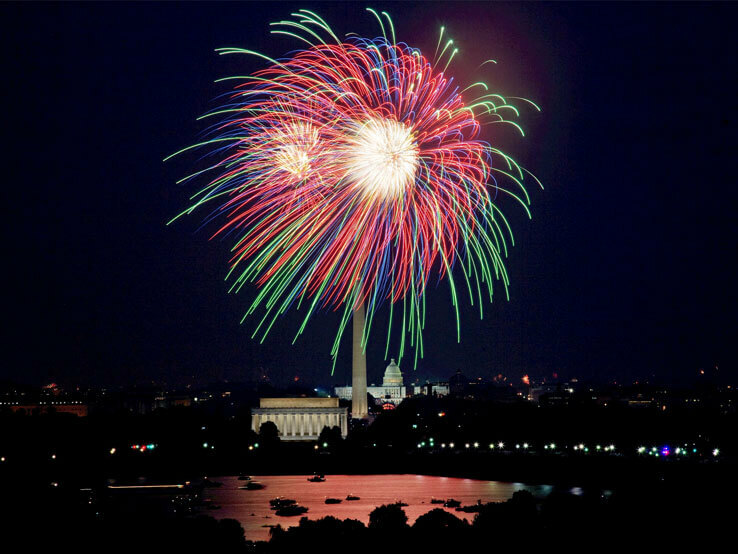 No other city throws a July Fourth bash the way the nation’s capital does. 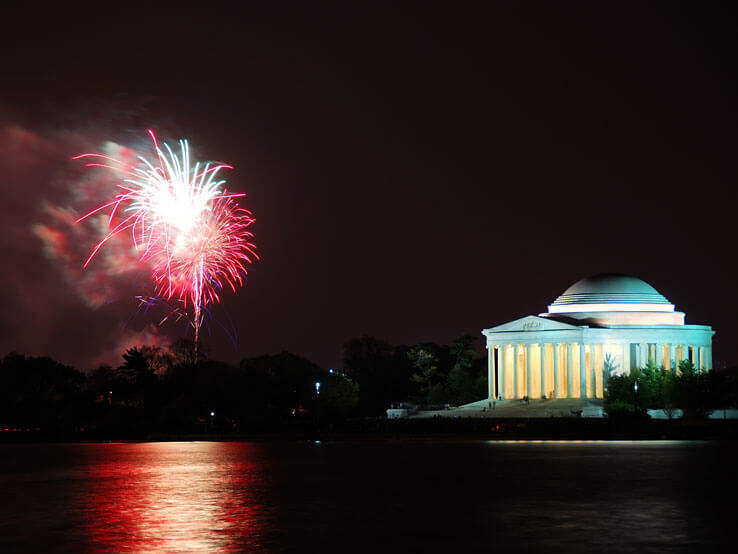 Bustling with historic and cultural significance, Washington, D.C. packs a slew of signature activities that spill over its coveted landmarks to entertain thousands of revelers eager to commemorate America’s birthday. A constant draw for tourists from around the country and the globe, every year on July Fourth, D.C. transforms itself into a festive venue replete with olfactory, auditory and gastronomic sensations. From the fireworks spectacle to the star-lined A Capitol Fourth concert, there are many small and large happenings in DC to make up a long bucket list for a celebratory escapade. Teeming with sights and locales to visit, the nation’s capital beckons a stay that stretches beyond the holiday. To truly delve into all the city has to offer, arrive a couple of days before – or stay a day or two after – July Fourth and venture into the museums, galleries and cafes doting D.C.. 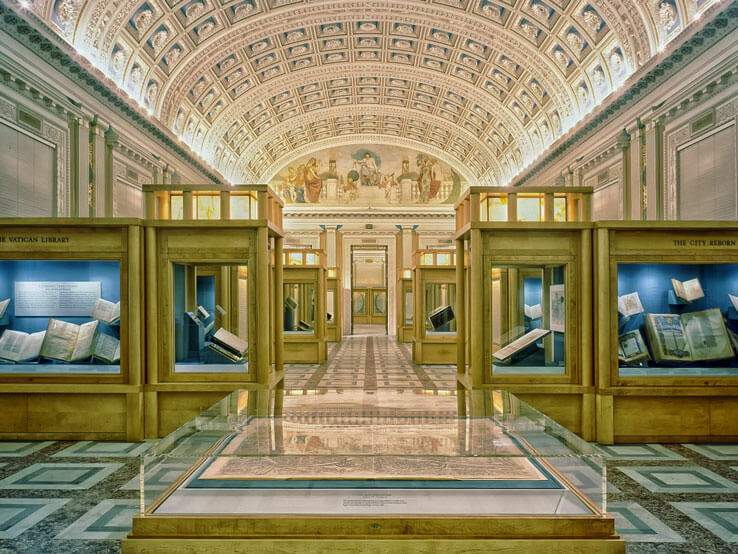 There is no better start than a trip to the National Archives Museum on the National Mall to honor the Founding Fathers and see the original copies of iconic decrees steeped with the vision for a free, democratic country – The U.S. Constitution, the Declaration of Independence and the Bill of Rights. Actors, clad in Revolutionary-era costume, will help transport you to an eon when the US claimed its nascent mark on the world’s map. From the Archives’ colossal building head north and in some five minutes you will reach the National Portrait Gallery, where you can continue your charter through history with the America’s Presidents exhibit, whose latest addition is the depiction of Barack Obama by Kehinde Wileythe. Recently added interactive displays guide you through your meetings with the States’ every past president. 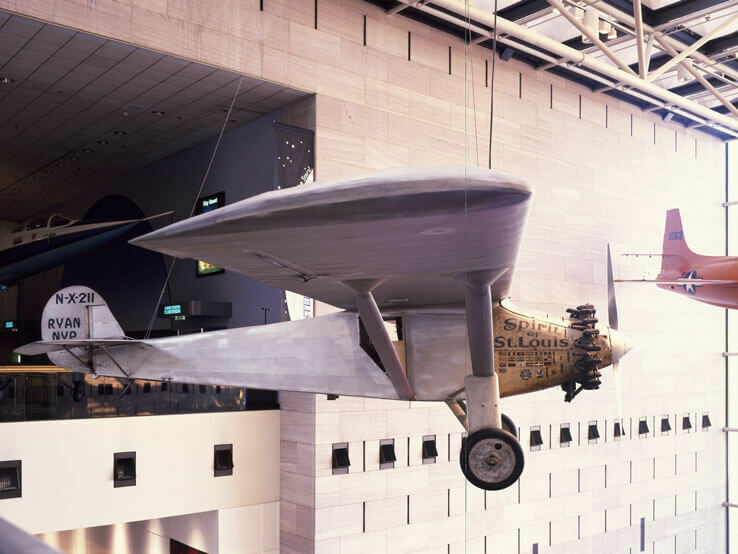 Once your high-profile visits conclude, head back toward the National Mall, where 19 museums and galleries shape up the most frequented part of the Smithsonian Institution and afford captivating insights into a slate of historic and futuristic matters – from the history of Native Americans to space exploration. Wandering through the immersive storytelling showcases of each museum, you can easily spend a day inside the cavernous halls here. D.C.’s many hallmarks often require morning-to-evening adventures, which, in turn, call for comfortable, spacious back packs. Weighing less than 1.5 pounds, Nixon Base is just the right type of pack to accommodate a day’s worth of necessities and provide a hassle-free carry around a hectic destination. Built of rugged coated canvas that ages with grace and accessorized by clunky zippers that lend a stylish touch to the design, the pack has enough space for a 15” laptop in addition to several pockets for personal documents and on-the-go essentials. Made with a rugged coated canvas exterior designed to show wear and develop a unique patina over time. 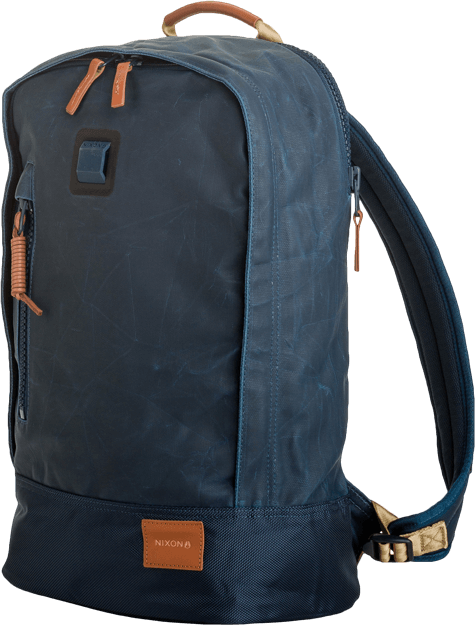 If you need a bag with large packing capability but hip silhouette, Nixon Boulder is the one. 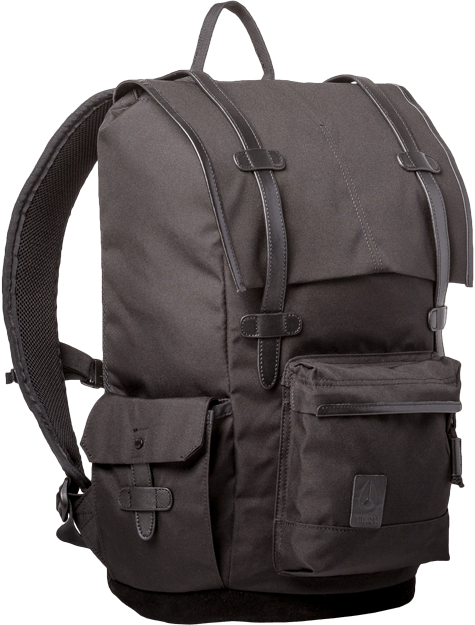 A superb creation of durability and quality, the backpack resembles a mountaineer ruck. 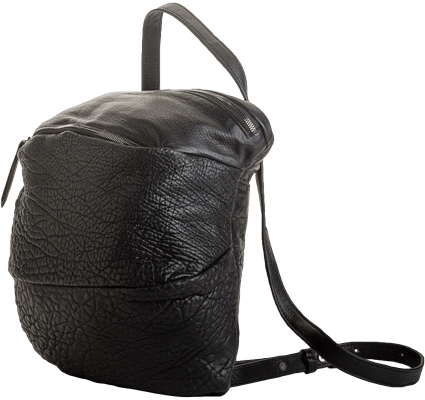 Yet, it preserves the sleek presentation of an urban pack with leather details and a side laptop pouch. The adjustable sternum straps offer functionality and ease anywhere you go – from stints on the subway to hours in museums to impromptu picnics in anticipation of the July Fourth fireworks. With adjustable sternum straps, comfortably hoist this divine ruck onto your back and embrace the journey. As beguiling as it might be, resist the temptation to dedicate more than day to the Smithsonian strip. Opt to see D.C. from another vantage point with a cruise down the lazy Potomac river. Several companies offer memorable tours – some come with delicious lunch or dinner, while others allow for customization. The city’s hallmarks obtain a sparkling veneer from the water that creates an idyllic backdrop for snaps you would like to frame and hang on your walls – yes, this might not be the famed NYC scape, but the scenery is as fascinating. Make certain to disembark on the Georgetown waterfront. The promenade and plaza provide a great site to watch the Fourth of July fireworks, but they get crowded fast. Explore the area a day in advance to scout a spot for yourself. Even if you plan to capture the pyrotechnics mayhem from another locale, the waterfront remains a place worth visiting – mostly because of its serene vistas and delectable selection of restaurants. You can sample some of the best seafood in D.C. at Tony & Joe’s Seafood Place, whose menu bulges with always fresh offerings. If your palate demands quintessential American dishes, Farmers Fishers Bakers will catch your fancy with its diverse farmhouse lunch, dinner and weekend brunch dishes. A more upscale ambiance twirls in Sequoia, whose stately set tables, artistic light installations and floor-to-ceiling windows contribute to the spectacular dining affair. Whatever establishment you choose to patronize, the edgy yet feminine Philo Cocoon Convertible will add a stylish touch to your outfit. In a city where formal attire is the norm, the mixed-media pack with pebbled texture blends well with the local sartorial flair. Able to morph from a shoulder bag to a backpack, it possesses the versatility to lend elegance, functionality and a tiny bit of rebellion to your eat-out exploits, punctuating your spree around the city. Carry it as a shoulder bag or pull the straps to form a backpack. It’s the perfect balance between style and functionality. 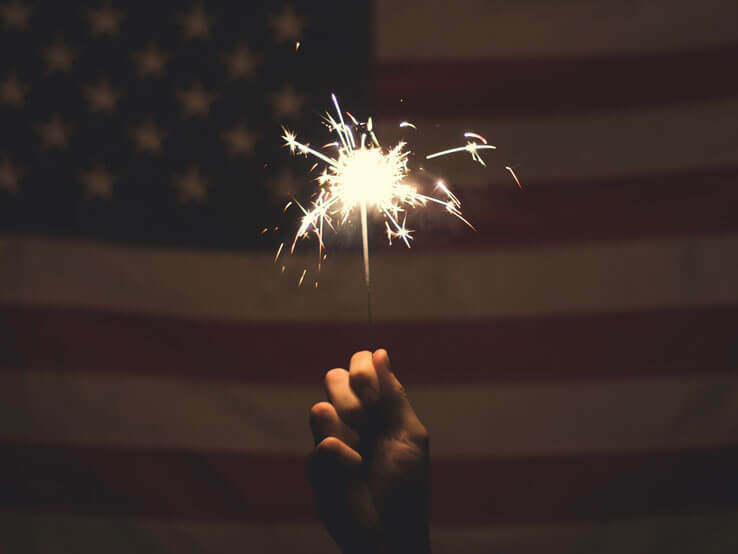 While a festive spirit grips the capital several days before the actual holiday, July Fourth brings a thrilling culmination to it all that last from dawn to dusk. Here are five activities to celebrate the 242nd birthday of the nation. As the whole city – and its surroundings – reverberate with lively events, you will have to select the ones you wish to be a part of – many have overlapping timelines. It is only appropriate that one of the nation’s most celebrated sports puts on a show on what is easily the most American holiday in the calendar. Every year the Washington Nationals play on July Fourth, and 2018 will be no different. Commencing at 11:05am at the Nationals Park, the game will pit the Nats, the National League East champions for the past two years, against the Boston Red Sox, who proved themselves among the top MLB teams this season. Some 30 minutes away from D.C., the monument is accessible by car and bus around the clock on the Fourth. After all, what more symbolic estate to be at on this day than the Founding Father’s residence, overlooking the Potomac River and blasting Revolutionary War-era music. Ice cream parlors whip Colonial-style gelato to sweeten the special daytime fireworks display. At noon, along Constitution Avenue, D.C. locals and visitors line up to marvel at the bright procession of fife and drum corps, elaborate red-white-and-blue floats and military formations. The parade snakes for 10 blocks between 7th and 17th Streets. As the sun begins to set, the West Lawn of the U.S. Capitol transforms into a concert venue with A Capitol Fourth, an annual show that often features a star-studded lineup of entertainers and musicians, including the National Symphony Orchestra that customary performs Tchaikovsky’s 1812 Overture. The grand finale booms and blazes with the sounds and glares of the fireworks. Another propitious location to witness the jaw-dropping fireworks is the National Mall, where the Smithsonian Folklife Festival provides an amalgam of dances, dishes, presentations and market boots from various cultures. The steps of the Lincoln Memorial as well as the lush lawns around the Washington Monument offer a picnic-like atmosphere to enjoy the show with family and friends in a relaxed ambiance. Many cities and towns around the country hold July Fourth observances. Yet, few can beat the extravaganza that D.C. puts together. The first time soaking the merriment in the nation’s capital is truly an exhilarating experience that could be filed under the once-in-a-lifetime category. Yet, it is unlikely to remain there. Once it has captured your heart and mind, you would want to return to it year after year. Share your adventures with us! Find the best backpack brands at Backpacks.com, and visit us on Facebook and Instagram and share the locale and some of the memories you captured and you could be featured in one of our upcoming blogs!